First get your wood cut up. If you have your own panel saw then it's easy, if you don't then you will have to get someone else to do it for you. 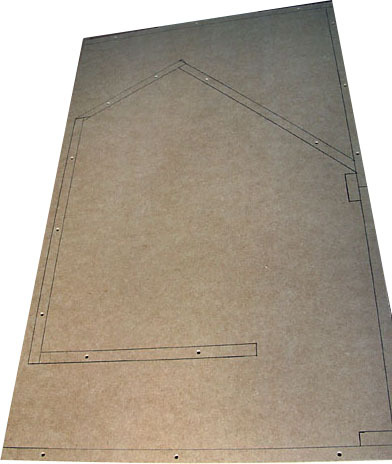 Most DIY depots have large panel saws and will do the cuts for you for a small fee. In most of Europe the DIY depots have large 3 by 4 meter wall mounted panel saws that will give you very accurate cuts if the operator knows what he is doing. In the US a lot of the home depots have smaller 6 feet high stand alone panel saws, these are not very good and you would be better of getting your local wood shop to cut the wood for you. 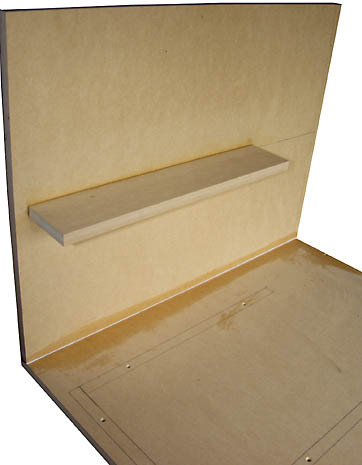 If the cabinet is for permanent installation in a dry place then its ok to use 18 mm (3/4") MDF. 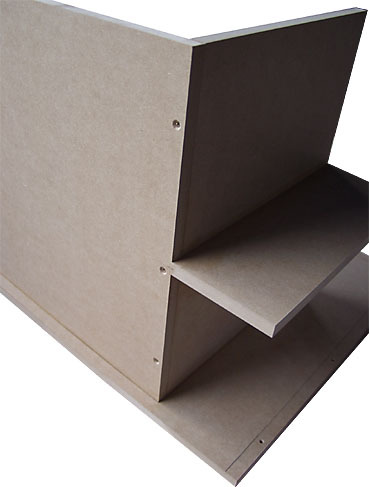 For all other applications and for road cabs use 18 mm plywood. 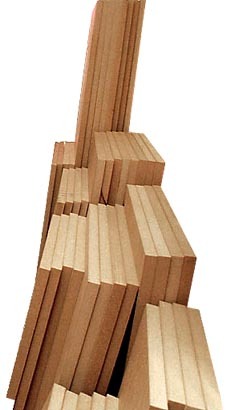 Use Baltic or Far Eastern ply and for the best results use Scandinavian Birch. 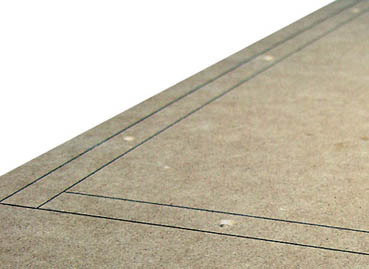 Don't use ply with less than 9 laminates as it will fall apart at the corners. For best results use 13 laminate ply. 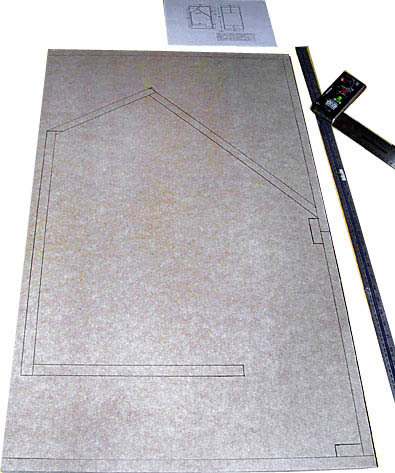 For the next stage you will need a long ruler, a set square and the plans. 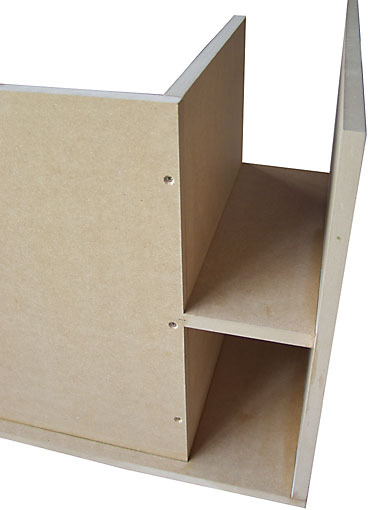 Lay down one of the sides of the cabinet, from now on it's the base. Mark out where all the panels of wood go from the plan, do this very accurately and take your time as if you are not accurate the rest of the project will be out. It's not ok just to hold a panel where it should go and draw round it. This is not accurate enough. Draw all lines with a ruler and use the set square to make sue that all lines at 90 degrees are true. Next drill clearance holes for the screws. Use 4 x 40 mm (1 1/2" No 8) screws with a cross head. 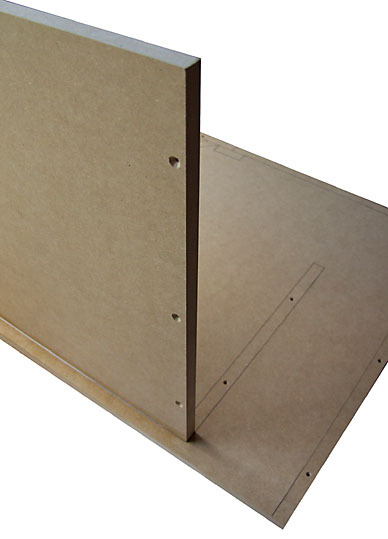 Modern PVA wood glue dries stronger than the wood itself and I've found no differences in cabinet strength putting screws every 150 mm (6") or like in the photo above using just 2 or 3 screws per panel. 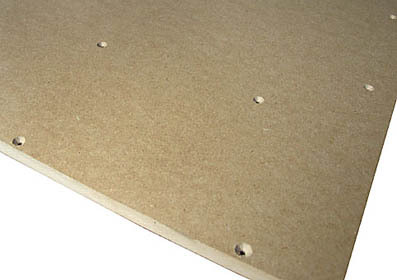 The screws are there to keep the panels together while the glue dries and you don't need to use hundreds of them. You will need to make countersinks on both sides of the base. Make shallow countersinks on the side that the panels attach to and deeper ones on the underside you screw from. This photo shows the under side of the base with its countersunk holes. Now its time to attach the first panel. Use a good PVA wood glue like resin W. If you have not made cabinets before it helps to get someone to hold the panels in place while you drill the pilot holes. Use a 2 mm drill bit to make the pilot holes from the underside of the base. Blow off all the saw dust left from making the pilot holes and put glue on the base only where the two panels are to join. Get you mate to hold the panel while you screw it in place from underneath. 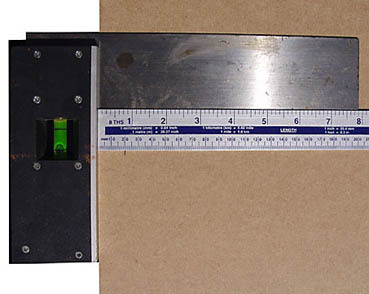 If the panel moves when you screw it and it does not line up, then slacken off the screws a bit and move the panel in the direction you need it to go whilst screwing it back up. If you do this a couple of times the panel normally moves back to where you wanted it in the first place. Your notice on the photo above that the clearance holes and the countersinks have been pre drilled on the panel that's just been attached. It a good idea to pre drill and countersink all the holes before you start to attach the panels together as you will break the join if you start drilling holes after you have glued the panels up. 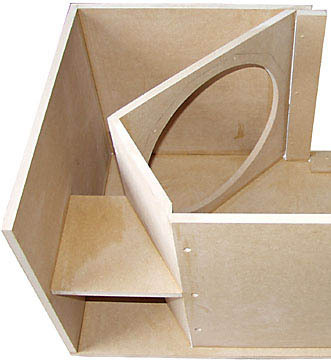 This bandpass design uses a shelf port. There are two ways to make a shelf port. If you are confident like me, then you can add the port brace at this stage. This only works if you are very accurate with your cuts, as if the brace is to short or to long the bottom of the cab will be out of alignment. This photo shows the other way to make a shelf port. Attach the brace to the bottom of the cab first and then attach the bottom to the base. Doing it this way will always make sure that the bottom of the cabinet is in alignment with the base. You should also notice a line that runs from the back to the front of the bottom panel. This is exactly half way down the panel and is to make sure that the brace is half way down the port. Mark these lines on the bottom and the port before you start gluing. This photo shows the finished shelf port. I did this port the hard way by attaching the bottom last. I did say that I was confident about the bottom lining up perfectly and it did. The bandpass cab has 3 miters that need to be cut. 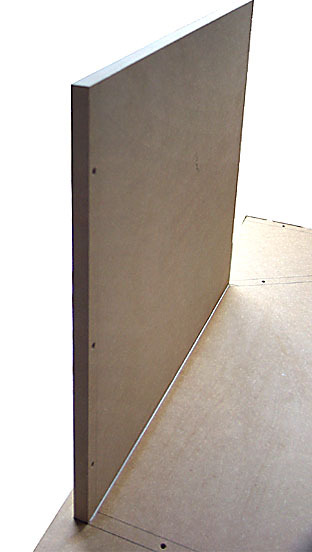 The next section of the construction guide shows you how to make miters or angled cuts. Click on the next button to go to the next section. Contact our sales department if you are enquiries to get listed.